We design and install commercial and communal aerial systems ranging from houses, hotels and apartment blocks to schools and communities. 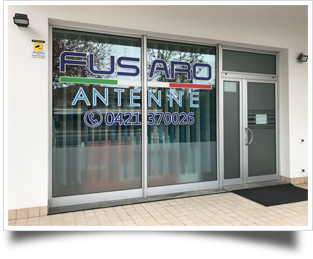 Welcome on Fusaro Paolo Snc’s web site. Surfing through it you will find more information about the services our company offers. In Jesolo Lido, we operate as aerial engineers, installing and repairing terrestrial and satellite aerials. We work also in the mobile phones branch, selling phones and displaying the best offers of the mobile rising company: WIND. We offer a repair service to handsets of the most famous brands, they are on or out of warranty. Moreover we provide mobile phone consulting on the prices of the company WIND. Moreover we display a wide range of accessories for mobiles and also a technical service for mobile phones.